‘The human factor’—the instincts of curiosity and trust that lead well-meaning people to click, download, install, move funds, and more—is simply more reliable and lucrative than exploits with increasingly short shelf lives. 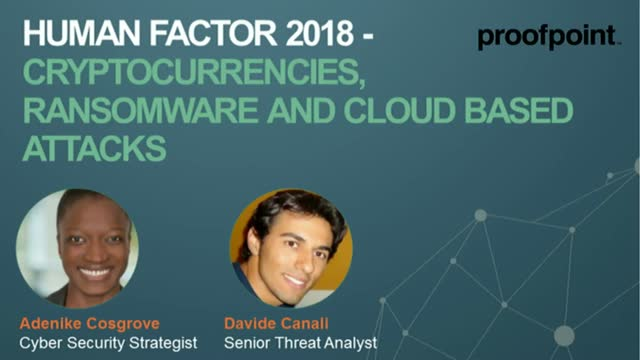 Join our speakers, Adenike Cosgrove and Davide Canali, as they discuss the findings from our Human Factor 2018 report. We’ll talk through the many ways in which threat actors continue to refine their approaches to social engineering with well-crafted lures and schemes that regularly trick even savvy users. -- Trends in volume and type of attack providing useful insights for both defenders and organizations.